Vision, attention to detail, performance — the difference between your business’s success or its failure can have much to do with the quality of your legal counsel. If you are looking for an Oklahoma business attorney who can see the big picture, one who can provide the kind of detailed legal services that protect your interests effectively, contact The Self & Spurgeon Legal Group, PLLC today. Our attorneys are here to provide ongoing, consultative legal services for small and mid-sized companies as they grow and change over time. We have extensive experience in regulatory and compliance issues; and our work with insurers provides us with a thorough knowledge of indemnification and fiduciary matters. The Self & Spurgeon Legal Group, PLLC offers business owners and managers in and around the Oklahoma City area a difference — a comfortable and friendly atmosphere where your business’ needs and concerns come first. 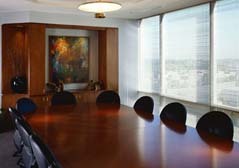 Our lawyers provide business and commercial law clients with a high level of personalized attention, working closely with them to better understand their businesses and to develop legal strategies that not only work to protect them from known obstacles, but from unexpected, unpleasant surprises as well. Dealing with legal issues while trying to operate a successful business at the same time can be difficult and overwhelming. It also makes having an experienced business attorney, to protect your interests while you focus on the more important tasks of business itself, invaluable. Our lawyers can ensure that your interests are protected, and at a cost that won’t overwhelm your bottom line. Call 405.378.2000 today for a phone consultation.